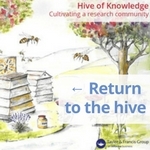 A key benefit of society membership is the life-long connection you develop with a vibrant, thriving community of researchers in your subject area. Discovering and engaging with this global network of peers offers opportunities for professional development at every career stage. From travel grants for your first international conferences to leading on journal development, societies support researchers in many ways. We spoke to Dr Stuart C. Aitken about how becoming a member of the American Association of Geographers has impacted every stage of his 25-year career. “I went to my first annual meeting of the American Association of Geographers (AAG) in 1983. At that time, I was a beginning PhD student in Canada. The AAG, then, was as much about the road trip from Ontario to San Antonio as it was about attending the meeting. The conference was a great opportunity to watch authors presenting their research in person. Until then I had only ever read their work. When I was working as an Assistant Professor at San Diego State University, I received a travel grant from the AAG so that I could attend the International Geographic Union meeting in Australia. It was my first international conference, and I was now giving papers alongside those authors I had heard in San Antonio. A year later, the AAG invited me to participate in the Phoenix Group. This was an innovative idea from the AAG Council to assemble a team of young, promising faculty members from around the USA. The AAG looked to us for leadership as this group became more involved with the society over time. In 1994, the AAG published one of my first books as part of its Resource Series. Later I was editor of The Professional Geographer. During this time I helped guide the AAG publications through a very tricky period of politics and transformation. Working on the society’s publications made me realize how much the AAG was a democratic and member-driven institution; big names did not hold sway over the society’s policies, projects and publications. Dr. Stuart C. Aitken is June Burnett Chair and Professor of Geography at San Diego State University. He is also director of the research center Youth, Environment, Society and Space (YESS). His research interests include film, critical social theory, qualitative methods, children, families and communities. Stuart has published several books and over 200 journal articles. He is also past co-editor of The Professional Geographer and Children’s Geographies. He works with the United Nations on issues of children’s rights, labor, migration and dislocation. Explore the AAG journals: The Professional Geographer, Annals of the American Association of Geographers, GeoHumanities, The AAG Review of Books, and African Geographical Review.